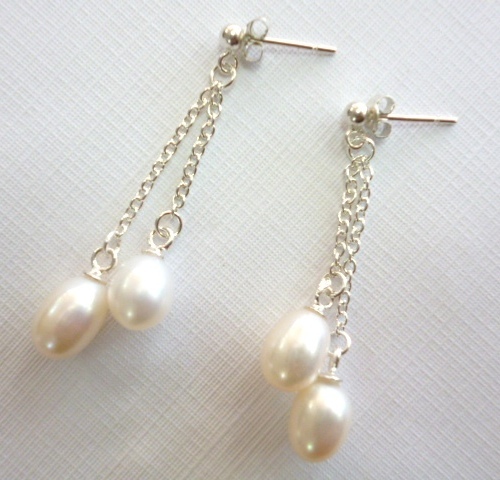 Simple or dramatic drops, on Sterling silver or yellow gold. 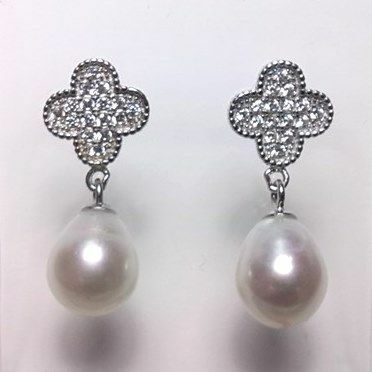 Sterling silver leaf/cross ear-rings with oval 'tear-drop' pearls. 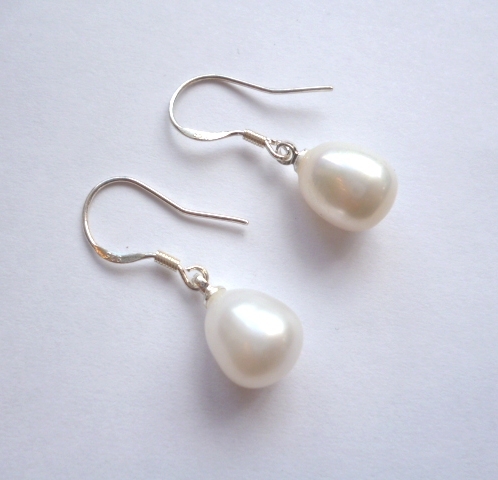 Sterling silver crown ear-rings with oval 'tear-drop' pearls. 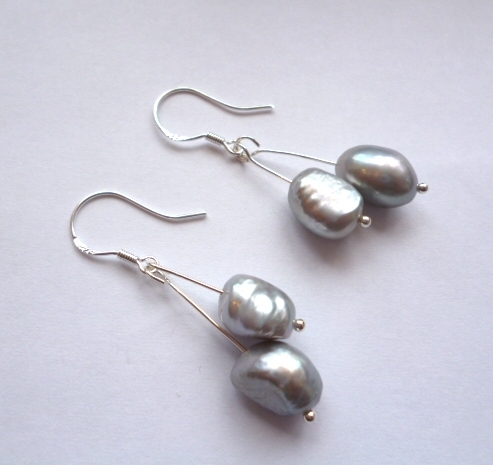 Teardrop Pearl Earrings on Sterling silver 'Cygnet' mounts. 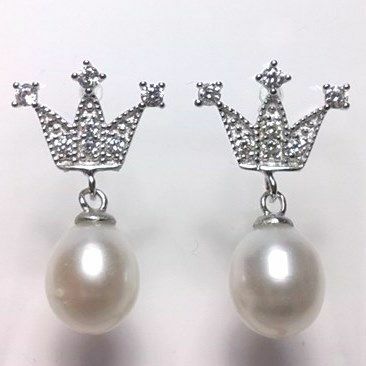 Sterling silver Regal Crown ear-rings with oval 'tear-drop' pearls. 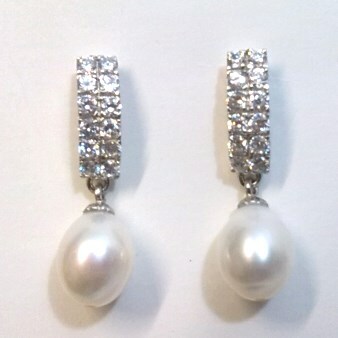 Sterling silver and CZ ear-rings with oval 'tear-drop' pearls. 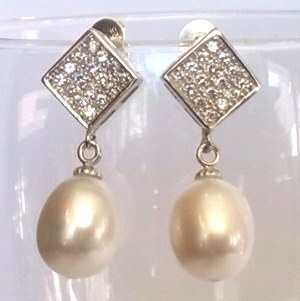 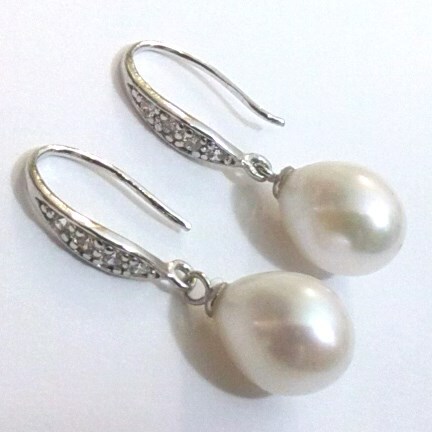 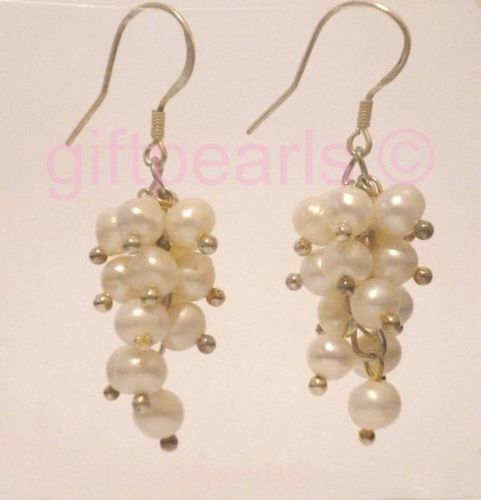 White tear-drop pearl and silver ear-rings with CZ crystals. 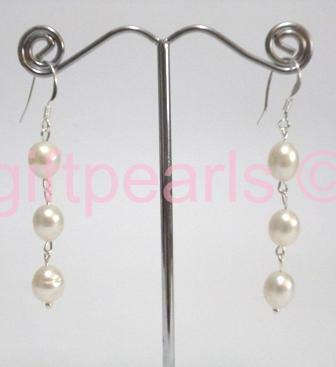 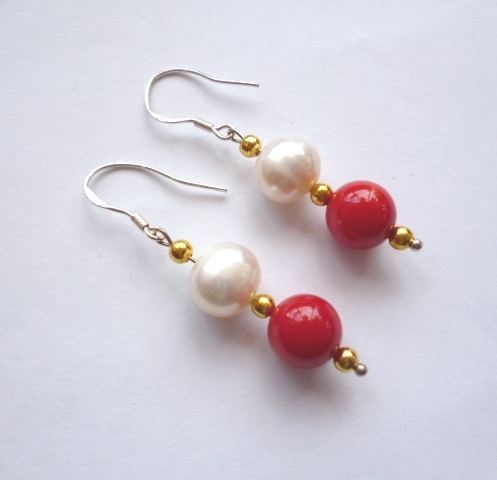 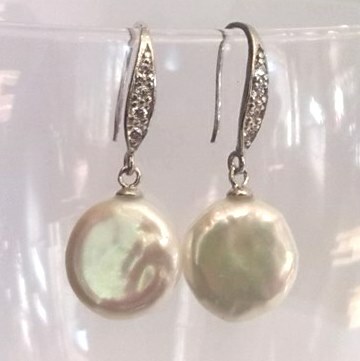 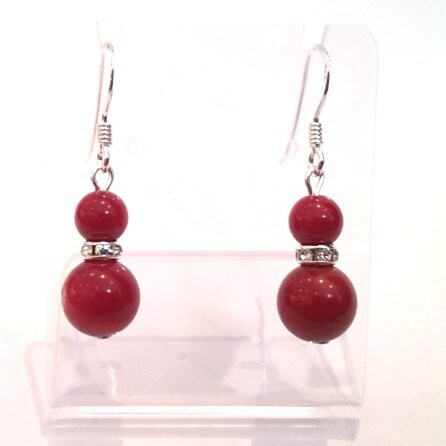 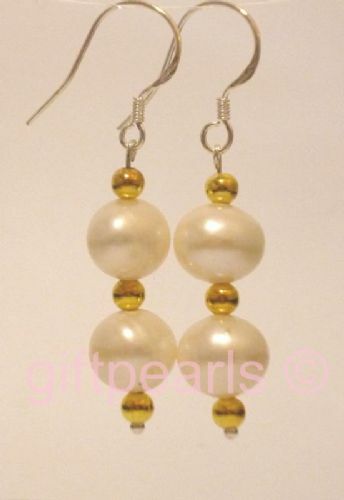 Triple pearl drop ear-rings on silver hooks. 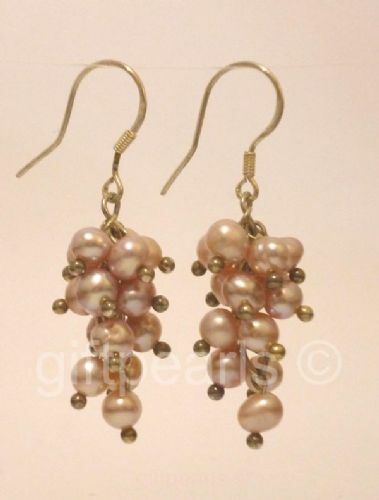 Peach-pink pearl 'grape' cluster drop ear-rings. 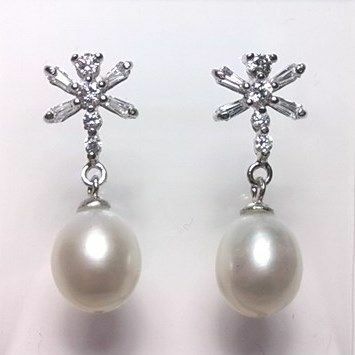 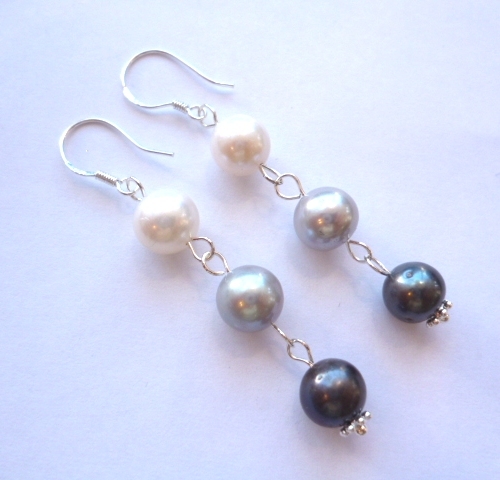 Silver, crystal and lavender pearl drop ear-rings. 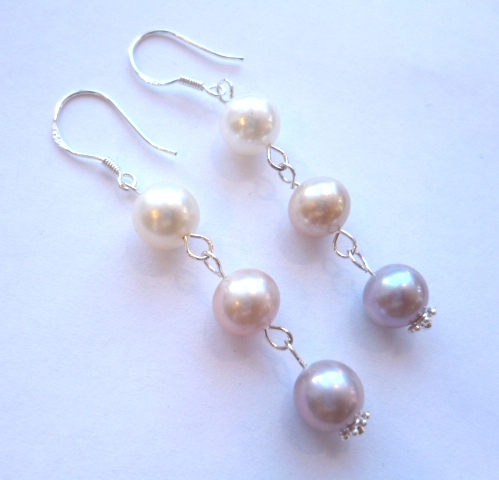 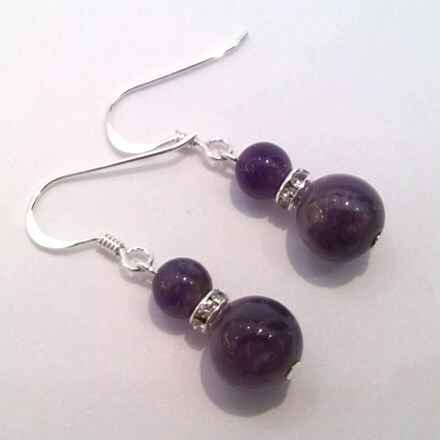 Crystal and Lavender pearl drop ear-rings. 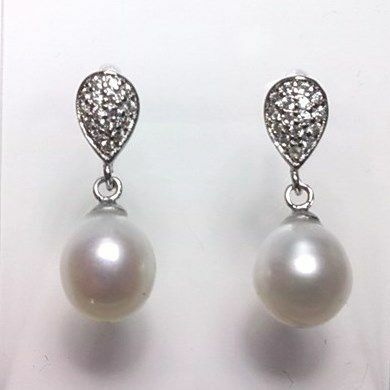 Twin pearl drops on silver chain. 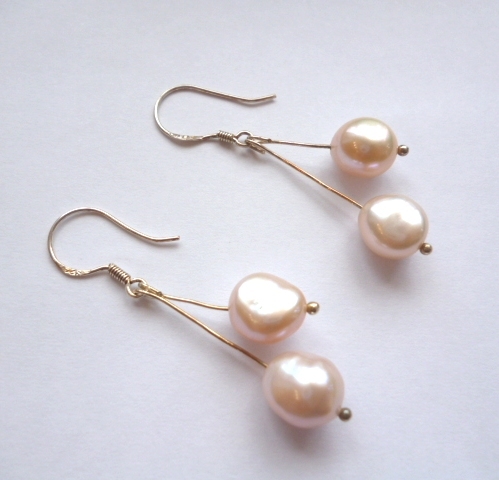 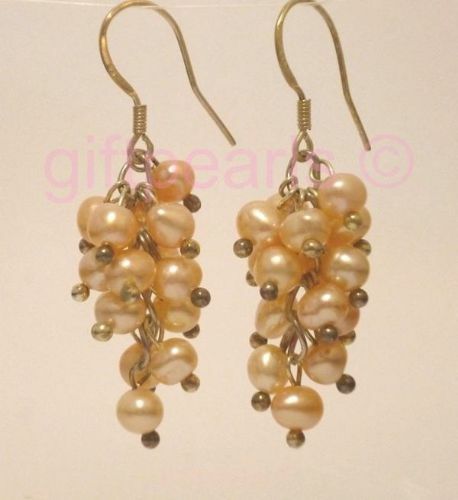 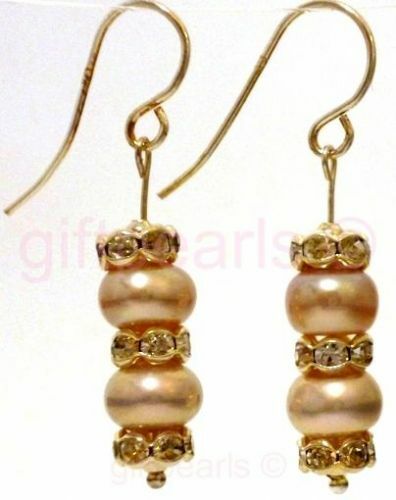 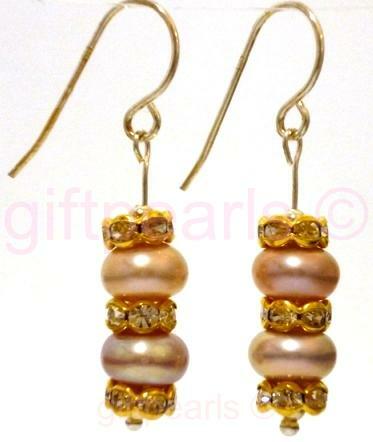 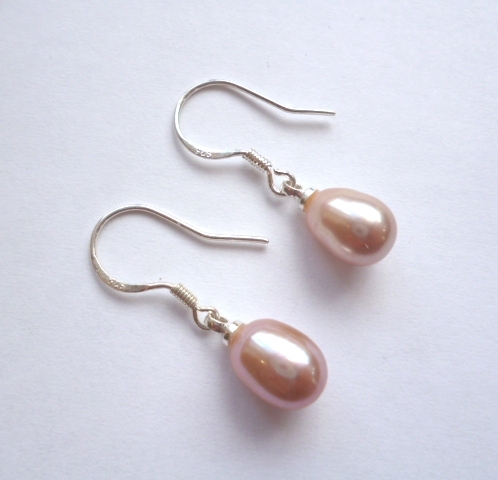 Peach pearl double drop ear-rings. 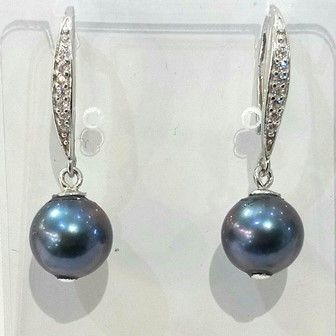 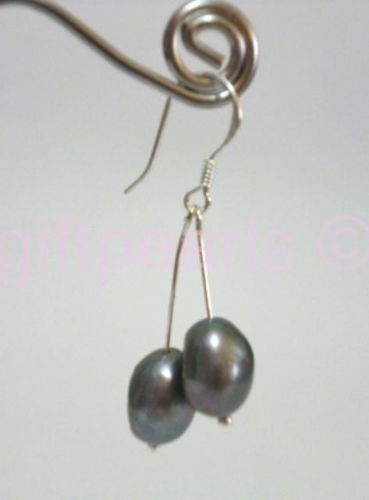 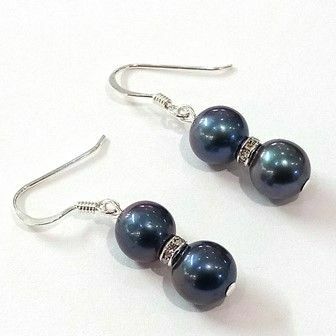 Grey-Black pearl double drop on silver hooks. 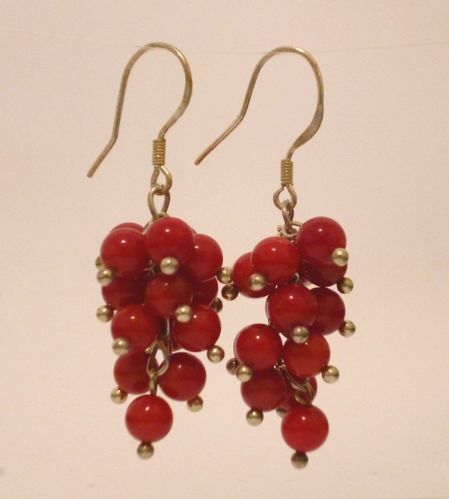 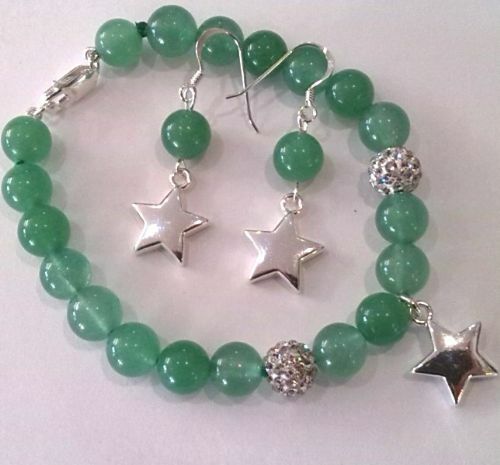 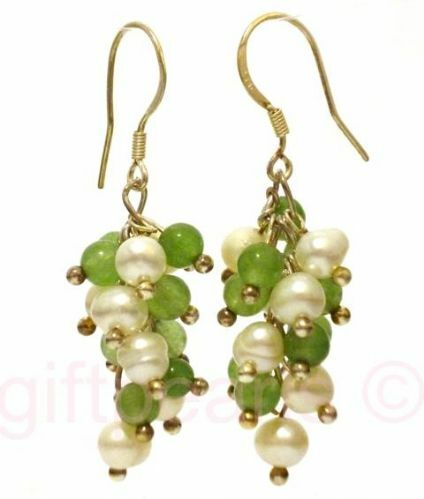 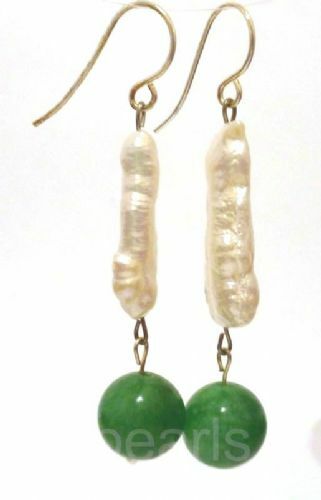 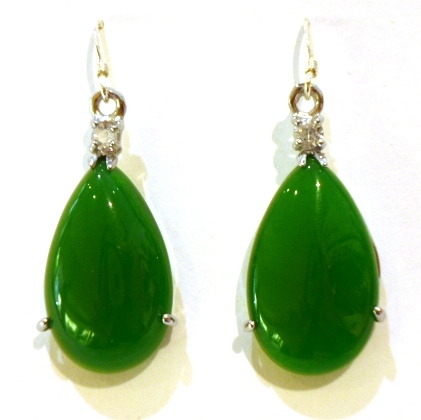 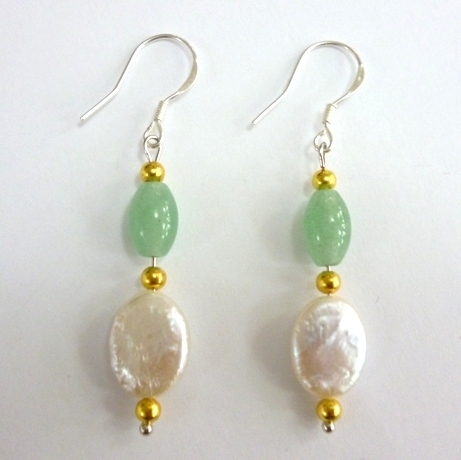 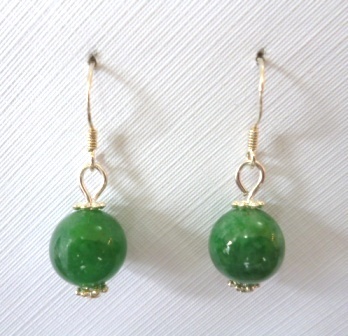 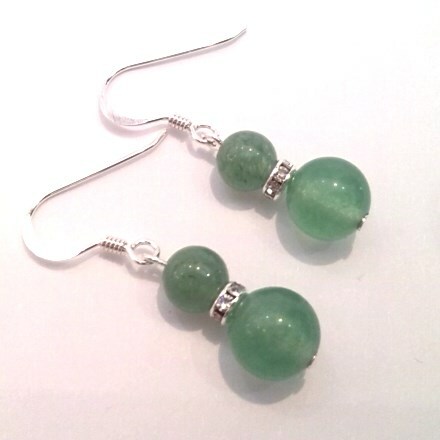 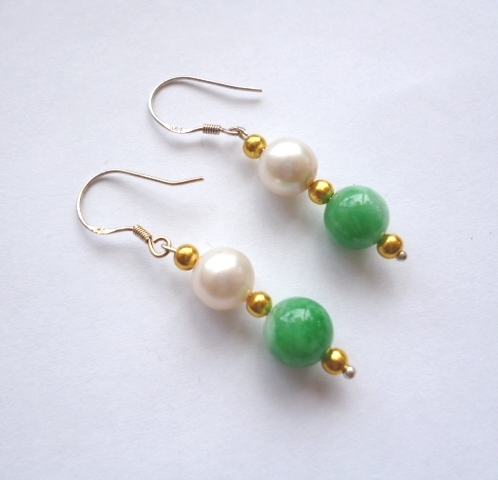 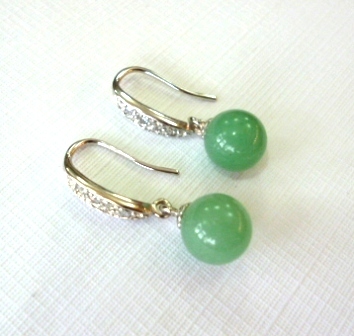 Double-drop jade and pearl with golden bead. 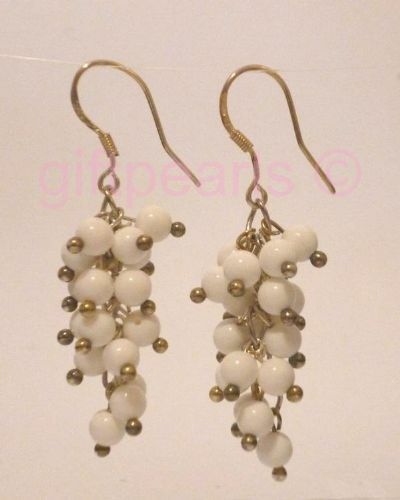 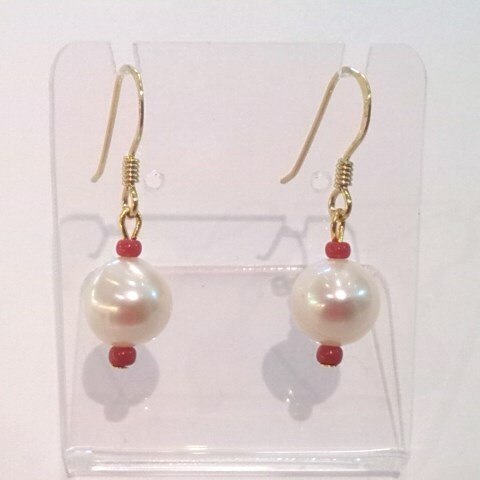 Double white pearl with golden beads. 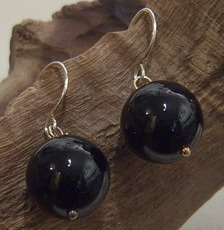 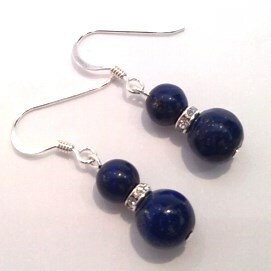 Black agate single-drop ear-rings on Sterling silver hooks. 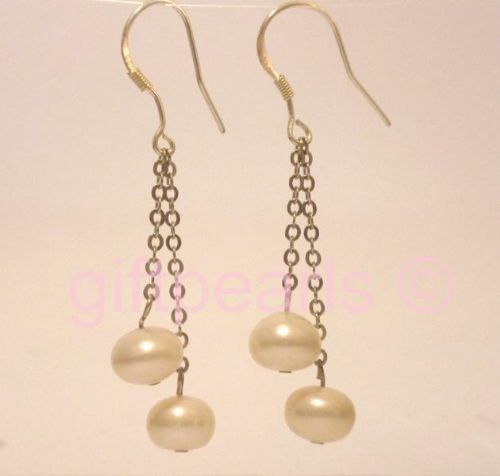 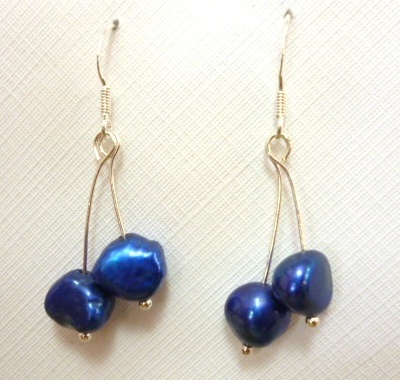 Tear-drop Lavender pearls on silver hooks. 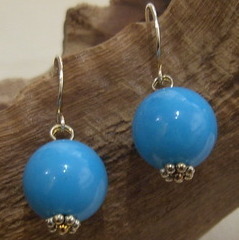 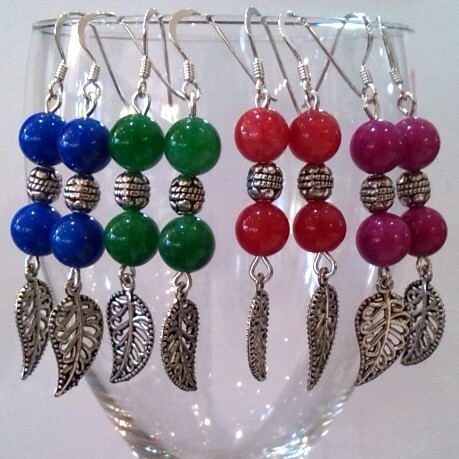 Beautiful White or Blue Turquoise single-drops.